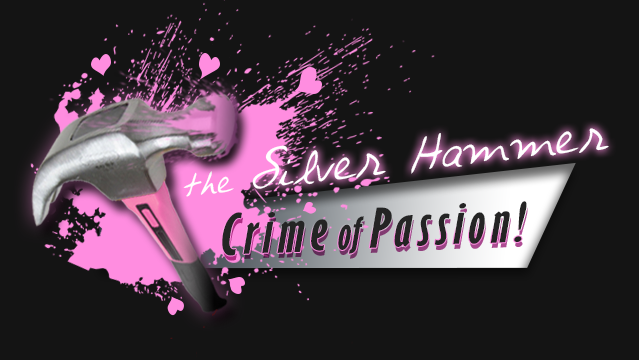 Speaking from an artists standpoint, I have always looked upon certain artists, especially in music, with a curious eye. It is not a matter of really even liking an artist's music necessarily. It is more of a matter of only what I can say is similar to rubbernecking a car accident in traffic. This is in no way an insult or some off-handed criticism towards any artist with alternative viewpoints artistically, or about the world. I am only human though, and in the case of Von LMO, according to him, he is an extraterrestrial. I was never a fan of Von LMO, or his work with Red Transistor or Avante Duel. Like a lot of music, it just slipped under my radar. However, while and after viewing Future Language, I dug in and explored like any good journalist would do. Unfortunately, I will try hard not to inject my personal feelings on this man known as Von LMO, as an artist, and a person. 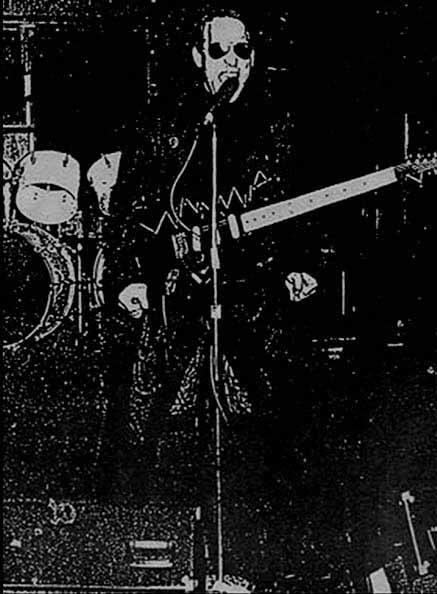 But, let me just say that, while I really enjoy Von LMO’s small discography (solo and with other projects), I find him to be extremely egotistical, confined within the drug induced universe he has created over the last three decades. 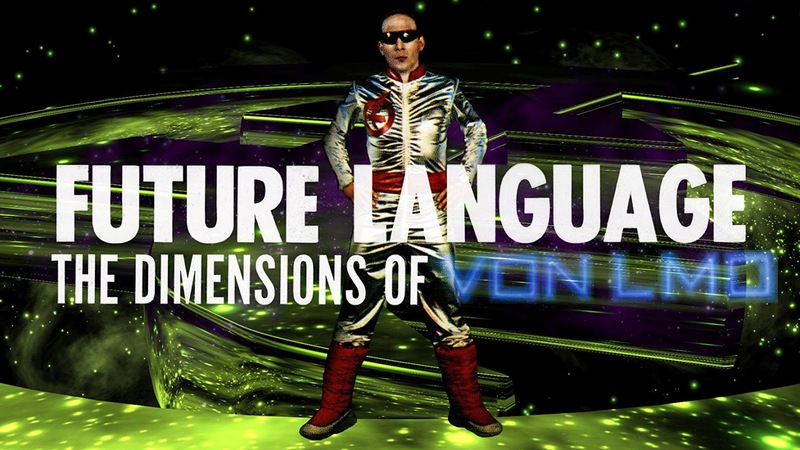 Future Language: The Dimensions of Von LMO brings Von LMO’s egoism to the surface, to a cringe-worthy amount at times. Director Lori Felker wanted to tell this story of her favorite musician though, and I think to properly tell it, this egoism that Von LMO relishes in is a primary part of it. I really loved the honesty of Future Language as I viewed it. 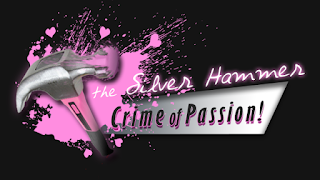 This was clearly not a big budget production with much of the shooting done by just Lori Felker with a handycam just trying to capture impressions. That said, Future Language is peppered with some really great animation that translated Von LMO’s ideas perfectly. Future Language is a fan film as Director Lori Felker blatantly states. It tells a story, but does not follow a direct narrative throughout its runtime. It does not have some big ending (quite the opposite really), but this is what made me really enjoy the hell out of Future Language. Fantastical ideas being presented in front of an honest backdrop. It was overwhelming at times just from an intellectual standpoint. 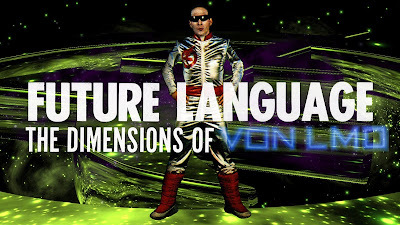 Future Language is a simple and very effective representation of Von LMO.